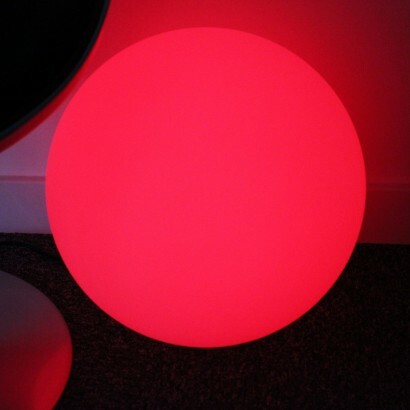 Stylish and contemporary, this large spherical lamp is fitted with a colour change bulb for beautifully indulgent mood lighting. 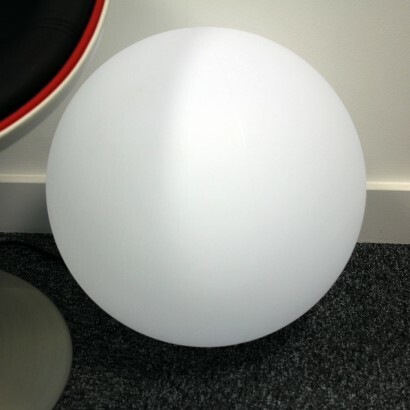 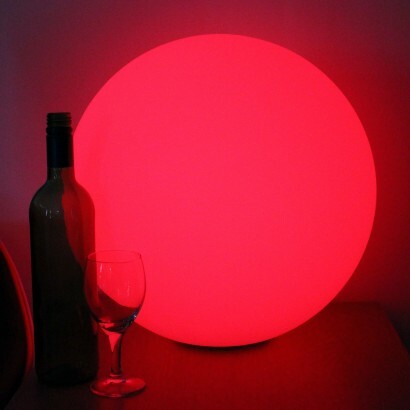 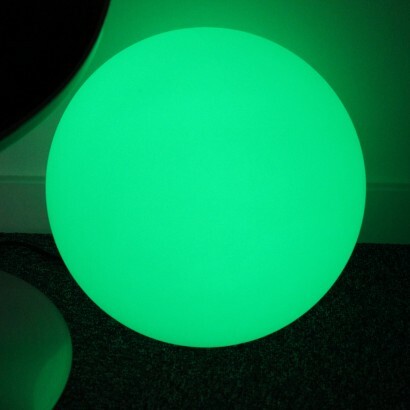 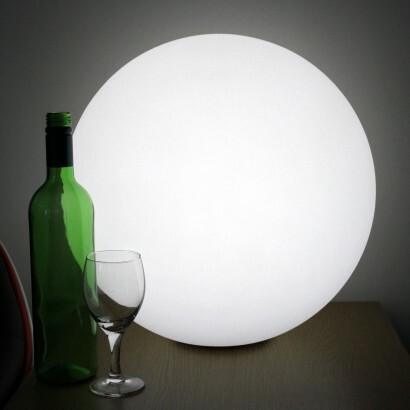 With a substantial 40cm diameter, this large orb light is mains operated making it ideal for placement on floors or larger surfaces where it's guaranteed to make an impact with a colourful light show. 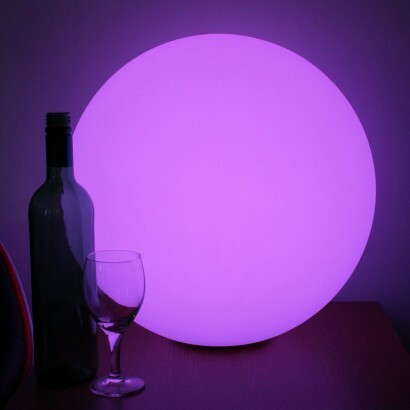 Remote controlled, choose from sixteen static colour settings or four flashing colour change effects allowing you to set your lighting to reflect your mood; whether you're entertaining or simply relaxing, this stylish lamp will compliment your day to day living with a warm, colourful glow. Remote controlled; choose from 16 static colours or 4 flash effects including strobing!